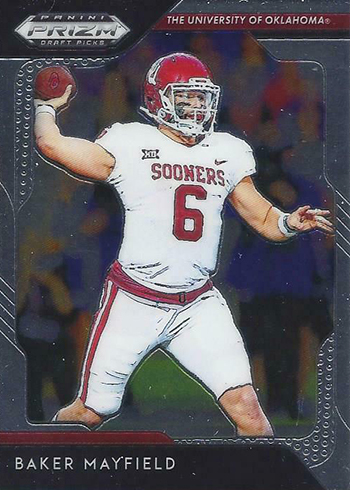 Jump to the 2019 Panini Prizm Draft Picks Football checklist. 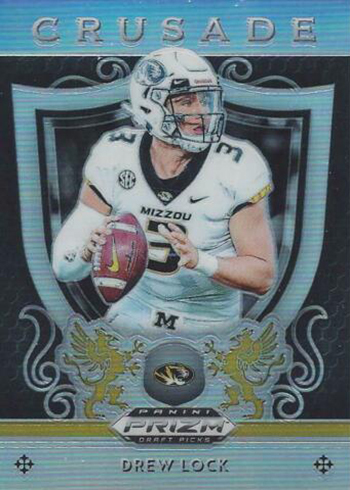 2019 Panini Prizm Draft Picks Football kicks off the new NCAA card season with lots of color and autographs. 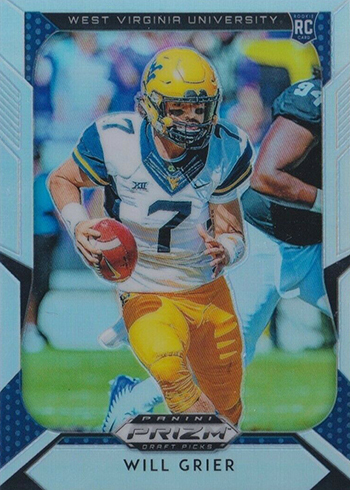 It’s the first time the Prizm brand has been used for a pre-season college set since 2016. As expected from all things Prizm, there’s no rainbow shortage in any aspect of the release. 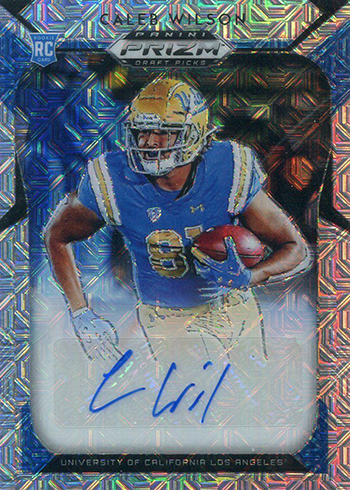 On the autograph front, they combine to land five per hobby box, which averages out to one per pack. 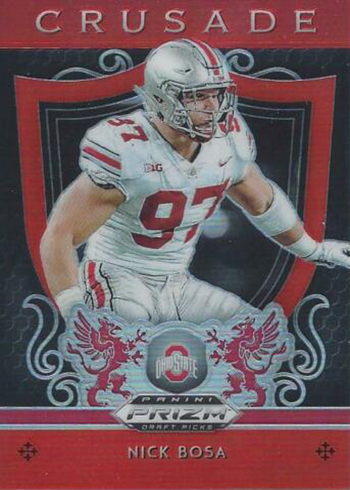 As with most other Panini NCAA products, the main base set depicts current pros in their college threads. The Draft Picks portion of the set highlights incoming rookies and players hoping to be taken in the 2019 draft. 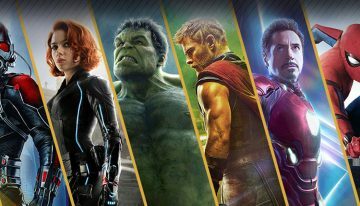 The base versions are done as Prizms. Both hobby and retail exclusives as far as parallels go. Hobby packs have Silver, Red/White/Blue (/99), Hyper (/75), Mojo (/49), Camo (/25), Gold (/10), Green (/5) and Black (1/1). Blue Prizms can be found at retail while Orange and Purple Prizms are in retail fat packs. 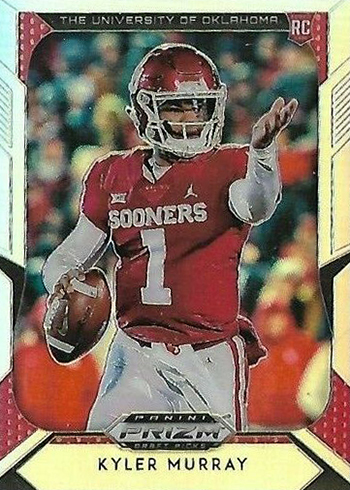 Mascots are a new addition for 2019 Panini Prizms Draft Picks Football. 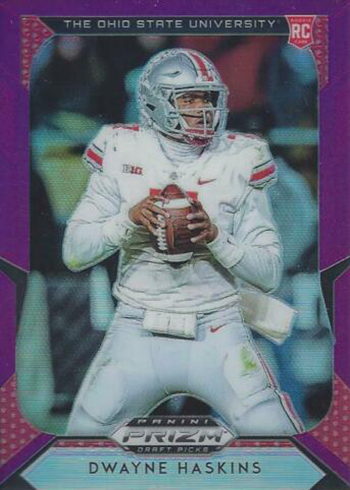 Several years ago, Upper Deck did a run of mascot patch cards, which were tough inserts. In Prizm, they take a more traditional approach. 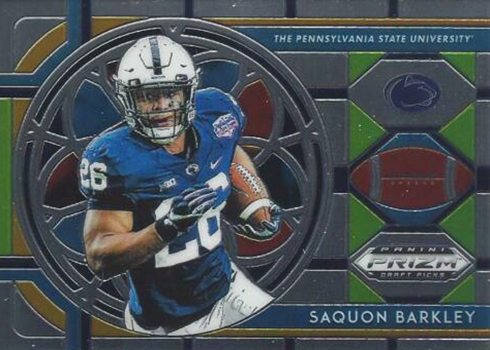 They join Stained Glass and All-American cards as base subsets. 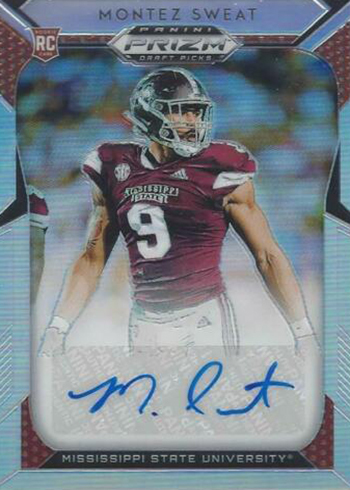 When it comes to autographs, Draft Picks Signatures is the place on the checklist where most are found. These are the first college-licensed autographs for the incoming rookie class. Hobby-exclusive College Ties Autographs have a pair of signatures from players from the same school. As far as regular inserts go, Crusade makes its way to the NCAA arena. Possible these could be autographs. I wonder if there are any super short prints in this set. There are some players that have yet to appear for sale online. Tyree Kinnel and David Long are two such players so far.